Radiotracker Platinum offers you all the functions of Radiotracker Premium plus more! Get all the music you've ever wanted: fast, effortless, in digital quality and in MP3 format. With fading, normalization, ID3 tags, album cover artwork and lyrics. And with Radiotracker's MiniPlayer, you can playback any track with the click of a button, and even listen to music while it's being recorded! Get to know Radiotracker Platinum by test-driving Premium now. All music genres. For every musical taste. Pop, Rock, Hip Hop, R&B Soul, Reggae, Electronic, Metal, Jazz, Country, Classic, 80's and around 60 other genres are at your fingertips with Radiotracker. Test it now and get 25 hits for free! Radiotracker Platinum brings you unlimited music with grace and panache. Wish yourself your favorite music! Platinum's Wishlist function makes your wishes come true! Guaranteed! If you've got a DSL flat rate connection with no data volume limits, you can use Radiotracker's Wishlist function to search for your favorite music day and night. With the Wishlist's filter activated, Radiotracker will locate the specific artists and/or music pieces you've wished for. Deactivated, Radiotracker will find music similar to the artists and/or music pieces on your wish list. 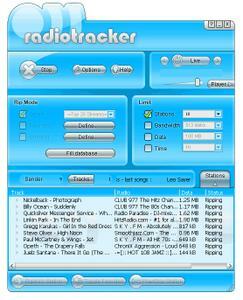 Radiotracker's Wishlist function provides you with more accurate music searching than any other solution on the market. Radiotracker Platinum lets you choose from 77,000 artists and more than 250,000 music pieces, and new selections are added every day. 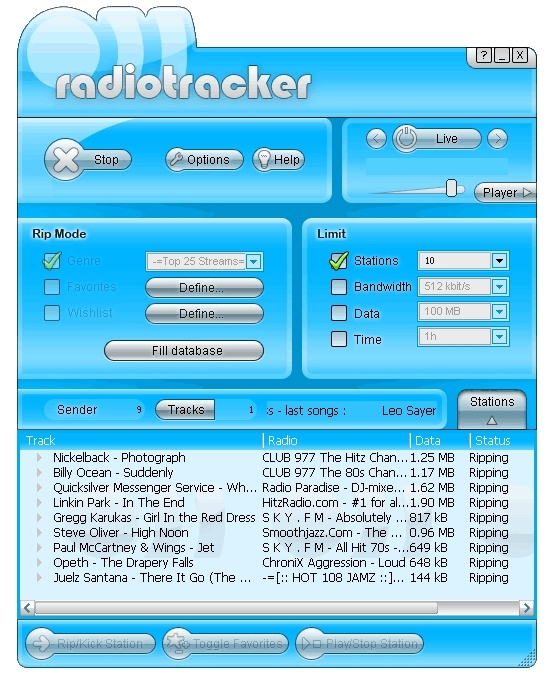 Radiotracker Platinum knows your favorite music, and is the only software that lets you record it while it is being played by the radio broadcaster. With Radiotracker Premium, you can even record your favorite song free and turn it into your personalized mobile phone ringtone. It's as easy as 1-2-3! With Radiotracker Platinum's ringtone editor, you can create personalized ringtones from your favorite music in just 3 steps, and use them with almost 300 different mobile phone models. You may do your Ringtracker Premium or Platinum by yourself. You'll find everything inside!